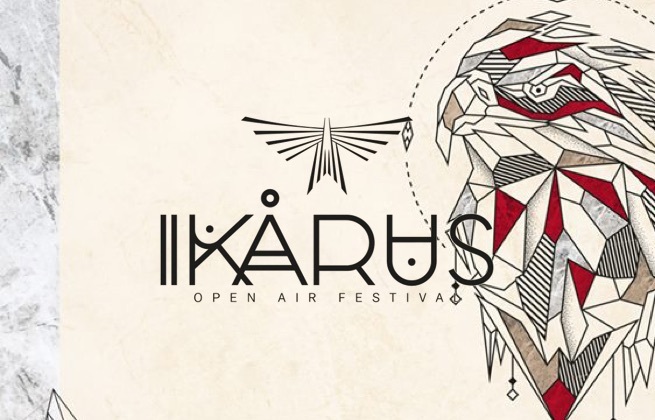 This ticket allows general access to Ikarus Festival 2019 across the weekend from Friday, 7 June at 17:00 - 9 June. 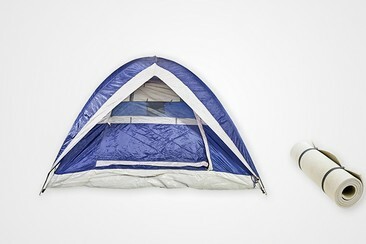 A camping ticket is NOT included. This ticket allows general access to Ikarus Festival 2019 on Friday, 7 June at 17:00. A camping ticket is NOT included. This ticket allows general access to Ikarus Festival 2019 on Saturday, 8 June at 12:00. 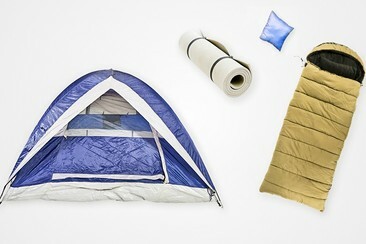 A camping ticket is NOT included. This ticket allows general access to Ikarus Festival 2019 on Sunday, 9 June at 12:00. 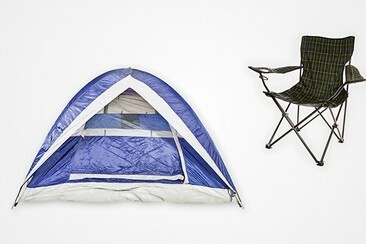 A camping ticket is NOT included. This ticket allows faster access to Ikarus Festival 2019 across the weekend from Friday, 7 June at 17:00 - 9 June. Stage Plus ticket benefits include: Stage Plus fabric ribbon, separate Stage Plus entrance without queues, free access to the Stage Plus areas and the Chill-Out area, free access to the main stages (OPEN AIR & MINOS Stage) (limited capacity), expanded drink offers with bottle service, and toilets. 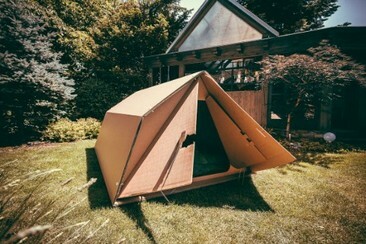 A camping ticket is NOT included. This ticket allows faster access to Ikarus Festival 2019 on Friday, 7 June. Stage Plus ticket benefits include: Stage Plus fabric ribbon, separate Stage Plus entrance without queues, free access to the Stage Plus areas and the Chill-Out area, free access to the main stages (OPEN AIR & MINOS Stage) (limited capacity), expanded drink offers with bottle service, and toilets. 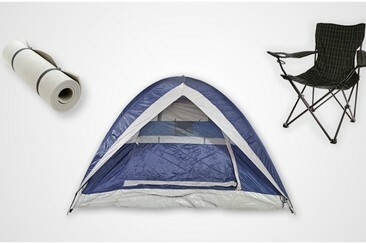 A camping ticket is NOT included. This ticket allows faster access to Ikarus Festival 2019 on Saturday, 8 June. Stage Plus ticket benefits include: Stage Plus fabric ribbon, separate Stage Plus entrance without queues, free access to the Stage Plus areas and the Chill-Out area, free access to the main stages (OPEN AIR & MINOS Stage) (limited capacity), expanded drink offers with bottle service, and toilets. 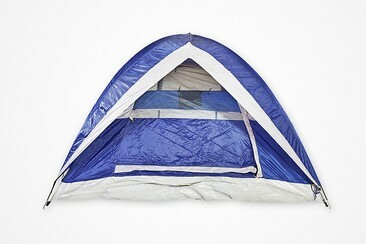 A camping ticket is NOT included. This ticket allows faster access to Ikarus Festival 2019 on Sunday, 9 June. Stage Plus ticket benefits include: Stage Plus fabric ribbon, separate Stage Plus entrance without queues, free access to the Stage Plus areas and the Chill-Out area, free access to the main stages (OPEN AIR & MINOS Stage) (limited capacity), expanded drink offers with bottle service, and toilets. 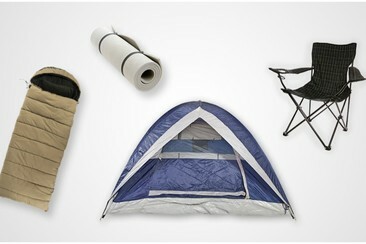 A camping ticket is NOT included. Only valid in combination with a festival ticket. Minimum age for admission is18 years. Please follow the camping rules on www.ikarus-festival.de. A 15 euro garbage deposit has to be paid on site. Tickets are valid per person, not per tent. If you're arriving in a caravan or camper you will need this extra caravan ticket. The ticket is only valid in combination with a camping ticket. Each group in a caravan requires 1 caravan ticket as well as 1 camping ticket per person. Maximum vehicle length = 9m. Utopia Camping is for peace of mind and fun camping experience. We want to make camping at music festivals more sustainable – and YOU can be part of the solution! Here is an interesting fact: Up to 85% of the equipment we work with is refurbished and second hand. You heard it! Since 2012 we collect left behind equipment as well as directly buy from visitors who don’t want to take their gear back home. We then clean, refurbish and rent it back to festivals visitors. So, when you decide to rent camping equipment from us, you are contributing to our cause - help reduce the environmental pollution that is slowly destroying our planet. Your choice has economic, social and environmental long-term effects You might find signs of prior use that we were not able to clean (e.g. graffiti) as well as repairs. 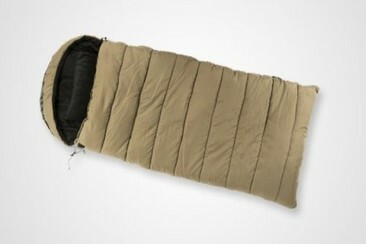 Rest assure, all tents are 100% waterproof, sleeping bags are cleaned after each use. ***Festival ticket not included. Centrally located in the romantic Old Town - only a few steps away from the train station. 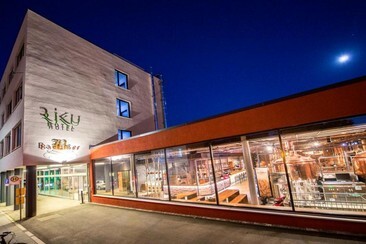 RiKu Hotel Schweizerberg features comfortable rooms. It is a 5-minute walk to the Hermannsbau Museum which details the history of the city. All rooms at RiKu Hotel Schweizerberg offer modern furnishings and include a flat-screen TV with satellite channels, as well as a work desk. There is a modern bathroom which contains a hairdryer and complimentary toiletries. A breakfast buffet is offered each morning, and there is a contemporary hotel restaurant serving Bavarian and Swabian specialities and home-brewed beer. Get to the festival in comfort and on time - Travel with like-minded people! Everyone goes to the same festival, there's music on the bus and you can bring your own drinks on board. Cheers! The exact pick-up location and travel itinerary and time will be provided 4-8 days before the festival. Please note: This trip is provided by Partybusse.de. In the unlikely event of Partybusse not selling enough seats, the bus might be cancelled. Simply enjoy life! 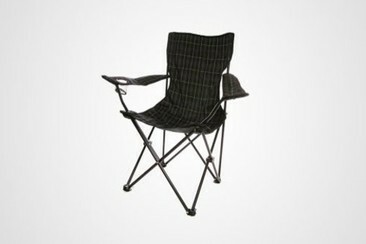 The chair is built for one person at a time and should be kept away from fire.